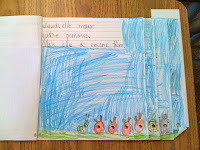 A writing piece to create during an integrated food unit including health and science outcomes (the 5 senses). 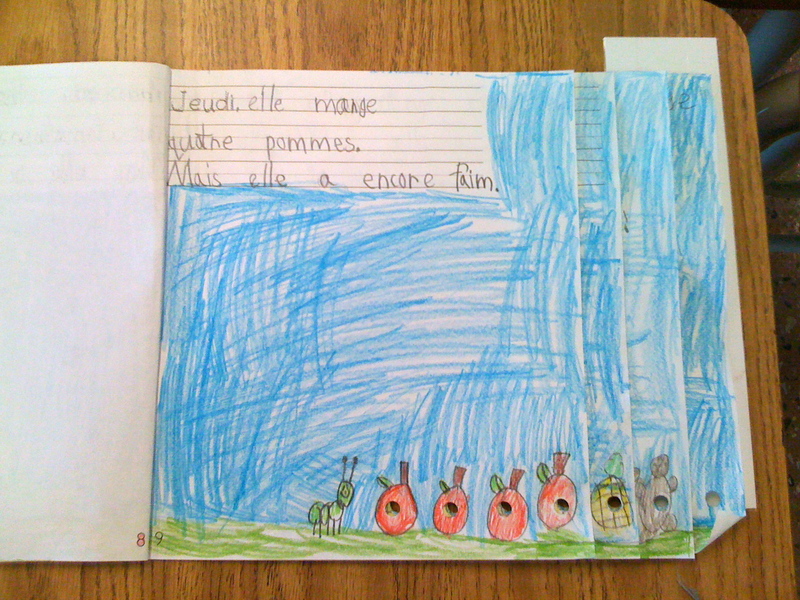 Piggy back books based on a familiar, original story format supports new story writers, in this case the story is "La chenille qui fait des trous" by Eric Carle. Follow the sequence of the story and begin writing on Monday, a page for each day of the week. Take it slow, this may be a major writing piece for many grade 1s. Students decide what the caterpillar will eat using their visual dictionaries, word strips or the reliable method of "Madame comment est-ce qu'on dit 'cauliflower' en français?" The sentence structures in the booklet require varying degrees of writing depending on student skill. An extra long hole punch helps to prepare the booklet but isn't necessary- a parent volunteer to print and staple is. 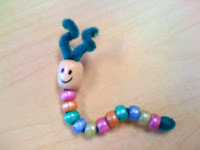 Beaded caterpillars made retelling extra engaging, be sure to make two - one to keep and one to give away to those kindergarten learning buddies we read our stories to! Can students who are able move beyond the structured pattern sentences of the story to enrich their writing? Can those who struggle with fine motor use the pages that offer a sentence stem to trace and generate only one or two words where they are able? Could videos of students reading their stories be shared with parents at Student Showcase Night? Could students use their caterpillars and plastic food borrowed from kindergarten to present a puppet show of their story (does that sound like differentiation?). 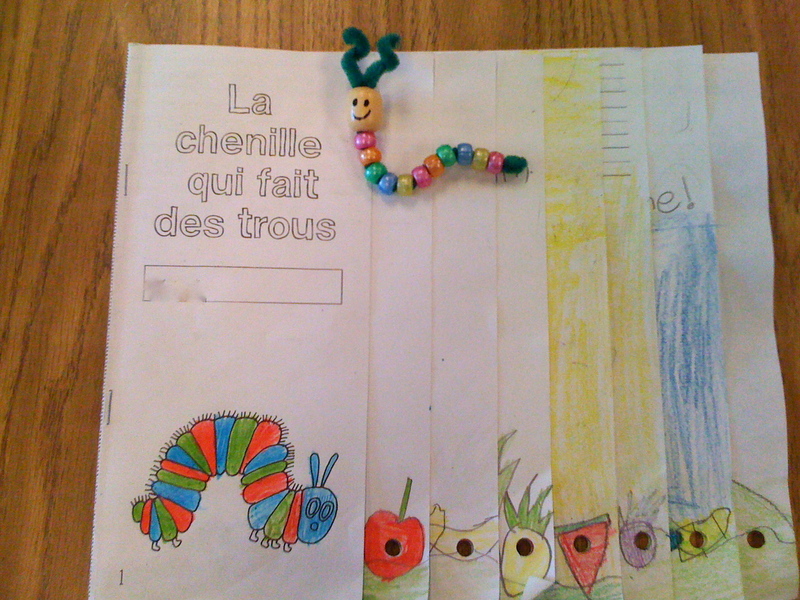 Does the critter in the story have to be a caterpillar? !